Chronic Kidney Disease patients must constantly contend with the struggles of Dialysis Treatments. That is why issues like bleeding out after treatment, AV Fistula infections, aneurysms and hemorrhages, as well as scars and thickening of scar tissue on AV Fistula Access needle stick sights, cause added frustration, pain, and setbacks. A new tool recently released by KidneyBuzz.com is helping to change and correct some of the biggest Dialysis AV Fistula issues in a way that is non-invasive, unobtrusive and comfortable for Dialysis patients. Longtime dialysis patient trying the dialysis arm sleeve for the first time. Click here to order. Chronic Kidney Disease patients must constantly contend with the struggles of Dialysis Treatments. That is why issues like bleeding out after treatment, AV Fistula infections, aneurysms and hemorrhages, as well as scars and thickening of scar tissue on AV Fistula Access needle stick sites, cause added frustration, pain, and setbacks. A new tool recently released by KidneyBuzz.com is helping to change and correct some of the biggest Dialysis AV Fistula issues in a way that is non-invasive, unobtrusive and comfortable for Dialysis patients. Bleeding Out and Spot Check: As Dialysis patients know, an AV fistula is a connection of an artery to a vein (usually in the forearm). This connection causes increased blood flow through the vein, which results in it growing larger and stronger. "It is basically a great big pressurized blood vessel a couple of millimeters under the skin," noted Greg Collette (longtime Dialysis patient). A small tear or break and patients can bleed to death in minutes. Hence, it is important that Dialysis patients remain protected and avoid bleeding out. 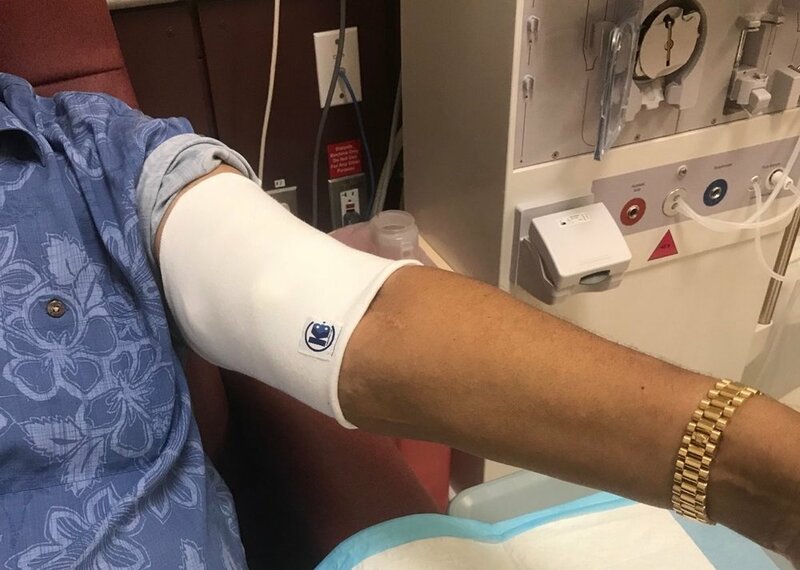 The Dialysis Arm Sleeves immediately alert patients of bleed outs with a "Spot Check" via red blemishes that would clearly be visible on the white machine washable sleeve. Also, in case of extreme bleed outs, the sleeve helps to absorb blood and acts as a built-in cloth - immediately allowing a patient to place a hand over the sight with moderate pressure until bleeding stops or help arrives. This also minimizes or eliminates blood squirts and mess. Inadvertent Rubbing And Infections: When Dialysis patients remove their gauze to allow their Dialysis Arm Sites to heal, the arm is exposed to the elements. Any inadvertent rubbing against a wall, person, table, etc. can cause a Dialysis AV Fistula Infection which may turn into a dangerous aneurysm - leading to a life-threatening hemorrhage. The Dialysis Arm Sleeve can be worn to cover the Fistula and help avoid accidental infections. Sun Exposure And UV Rays: As the Virginia Mason Medical Center explains, scar tissue including those from Dialysis Needle Sticking is highly sensitive to sunlight. As such, this sensitive tissue can sunburn much more quickly than healthy skin, causing thickening of the scar tissue. Hence, Dialysis patients should use the Dialysis Arm Sleeve to avoid painful scab removal and needle sticks due to thickened tissue at their Dialysis Sites from sun exposure and UV Rays. Scars: Sometimes Dialysis patients want to wear a short sleeve shirt or sleeveless sundress and do not feel comfortable showing their AV Fistula and accompanying scars. In this case, the Dialysis Arm Sleeve covers most AV Fistulas and visible scars completely to allow patients added comfort by limiting feelings of self-consciousness. 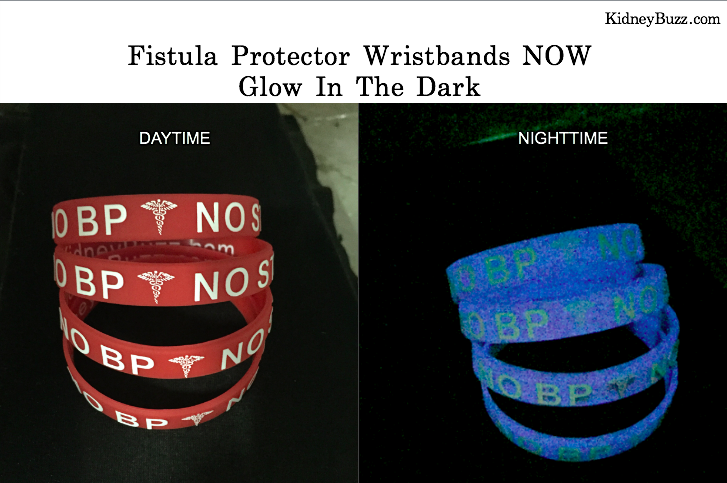 How do you protect your AV Fistula? Have you ever experienced a bleed out? What did you do? Your insights could be very helpful to other patients so share your responses with the nearly 68,000 friends who have liked the KidneyBuzz.com Facebook Page (click here). 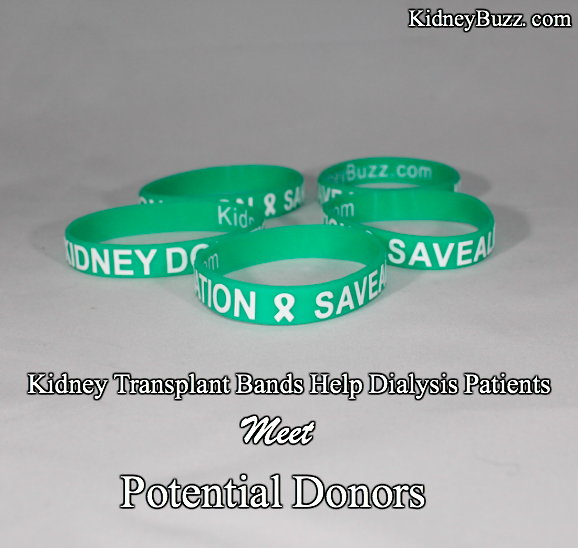 Also, consider following the nearly 250,000 monthly visitors on KidneyBuzz.com for your Number One (1) source of Daily News, Information, Impact Meals, Inspirational Quotes, and tailored Products and Services which teach Chronic Kidney Disease, Dialysis, Kidney Transplant, Diabetes and High Blood Pressure patients how to better manage and improve their lives.